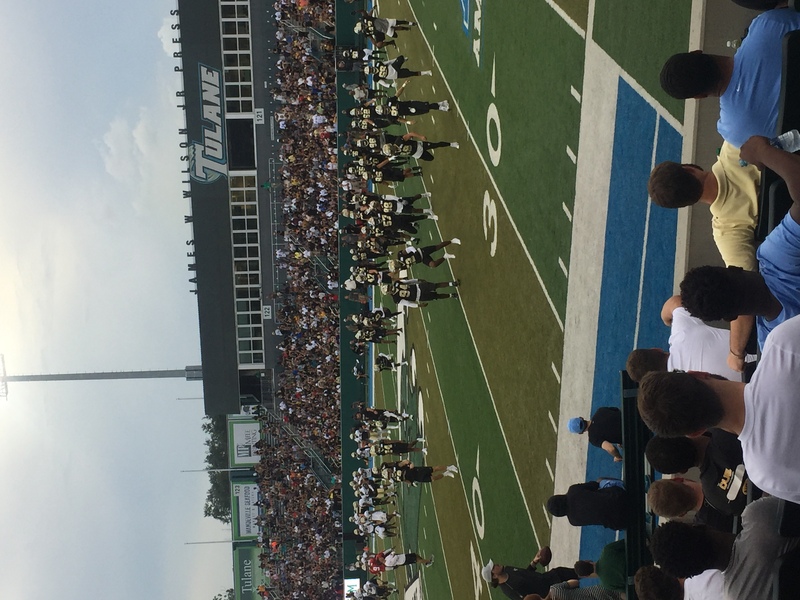 10 practices open to public including final one at Yulman Stadium Sunday night August 5th. I’ll be in that number tonight. Anyone else here going? Good event. Comfortable August night. 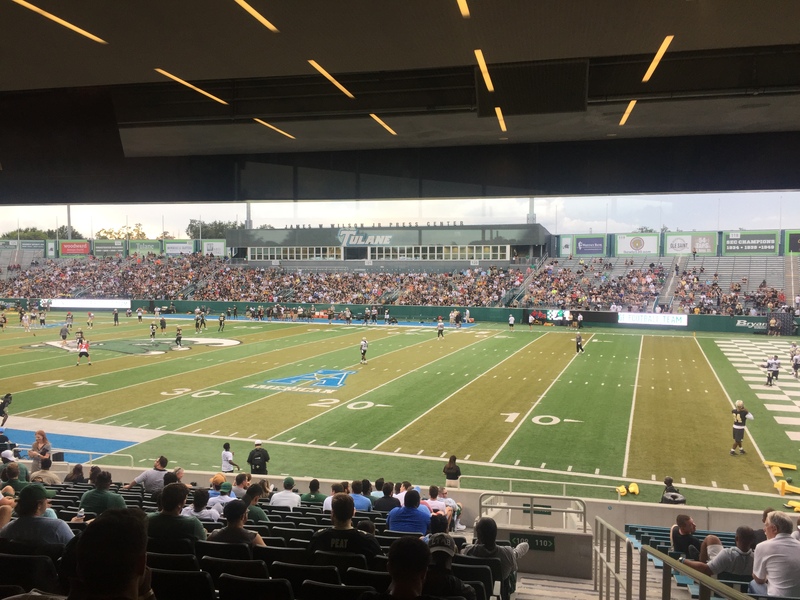 It looked like most of our team and coaches were in attendance. Big crowd as well. 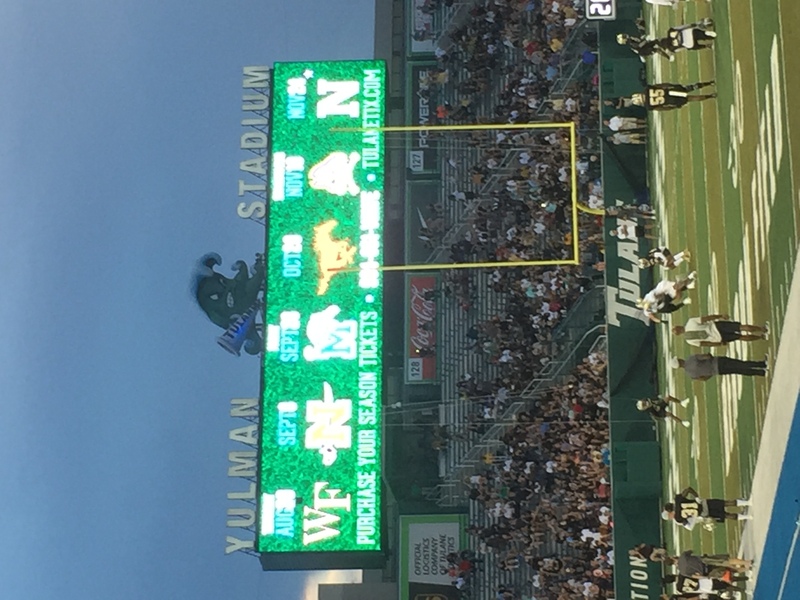 Tulane used the video board to promote season tickets. 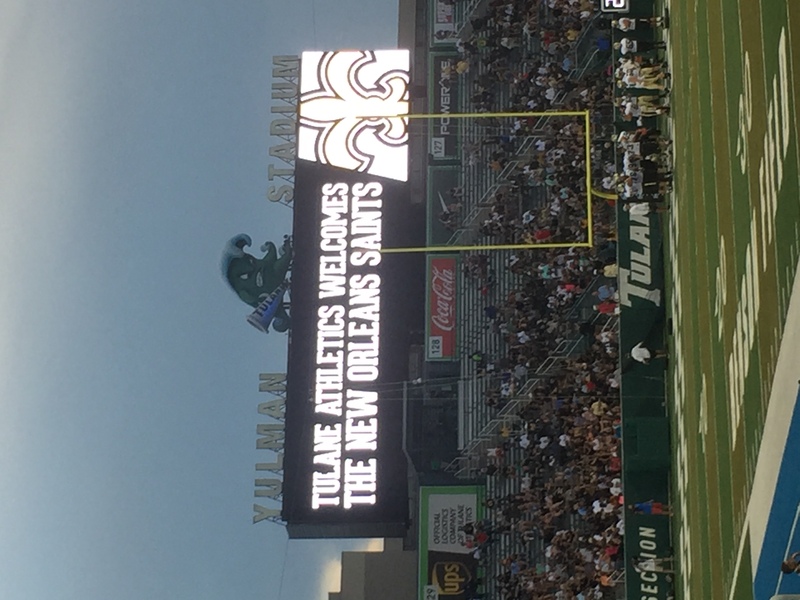 Good exposure for Tulane Athletics. And I really appreciated TPS's report! Thanks for the report. They showed film of him wearing it on the 10:00 sports on WWL.